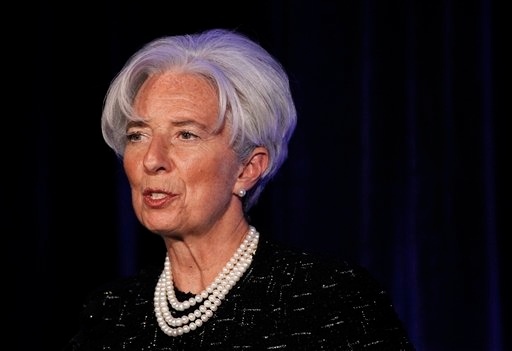 International Monetary Fund chief Christine Lagarde has voiced cautious optimism about economic recovery in Europe but urged leaders to remain diligent in their efforts to pull out of recession. Speaking at the World Economic Forum in Davos, Switzerland, Lagarde described Europe’s recovery as “fragile”. “I will pursue with [the] ‘do not relax’ principle. The forecast is for a very fragile recovery in 2013 and that is why I will emphasise on do not relax,” Lagarde told business leaders. In the meantime, she said that China is likely to be the global economic engine in 2013, leading the rest of the world with a forecast of at least eight percent growth. Lagarde’s assessment comes at a rather uneven time as European bankers and finance experts warn that while the Euro-debt crisis may be ending, it would take a number of years before the effects wear off. Earlier in the year, European analysts raised the alarm on double-digit unemployment levels as one of the biggest challenges facing a full recovery. The European Commission’s office for Employment, Social Affairs and Inclusion released a report that indicated unemployment in some countries has reached record levels with nearly 19 million people jobless in the eurozone. Unemployment in Spain has reached 26.6 per cent, while in Greece jobless rates have increased from 19 to 26 per cent over the past year. The average unemployment rate for the eurozone rose to 11 per cent. Based on the findings of the Employment and Social Developments in Europe Review, the report said that “household incomes have declined and the risk of poverty or exclusion is on the rise, especially in Member States in Southern and Eastern Europe”. “A new divide is emerging between countries that seem trapped in a downward spiral of falling output, fast rising unemployment and eroding disposable incomes and those that have so far shown good or at least some resilience,” the report said. Angel Gurria, the Secretary-General of the Organisation For Economic Development struck a similarly dismal tone with leaders at Davos. “What are we relieved about? Are we relieved about exhausting our monetary measures and all other measures,” he said. Lagarde admitted that Europe still faced problems saying that it was at the ante chamber of a new economy”. However, she said change would take time. “But destiny comes through the smoke and the fog and I, for one, am optimistic about Europe’s future.